The cheapest board we have ever seen. 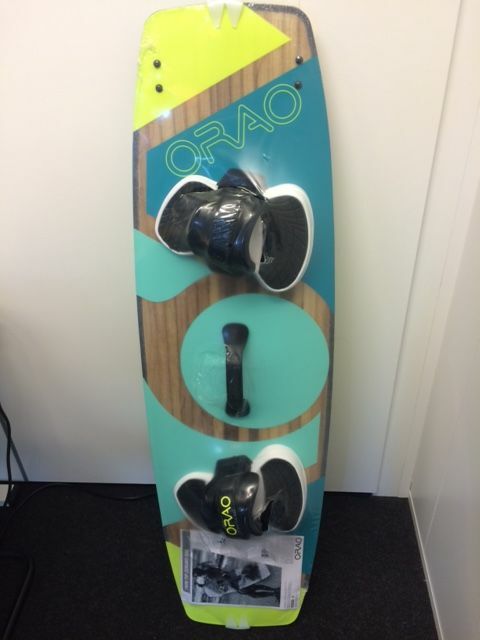 Just 300 Euro’s, including pads, straps, handle and fins. Is it just for beginners? Is it crappy build quality? Not for extreme moves? Actually non of them is true. It is nothing you would expect. It gives a strange feeling upfront when you know its price. 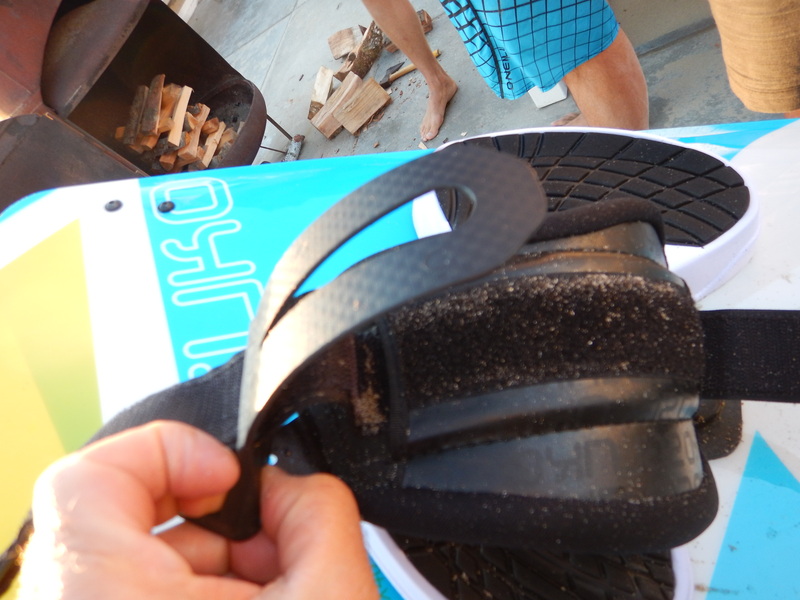 It quickly became the talk of the town when we tested the just released Tribord Zeruko twin tip. Eye catching is the huge amount of channels on the bottom. It gives away what type of board it really is. It is not what you would expect from a store with just one board in their line up. It turns out to be a pretty extreme edging machine which could easily be used in a pure freestyle session! The Zeruko is not particularly a pretty one. There are a few points that are a bit different to other boards. For example there is just one size (the 136cm) to choose from which is aiming roughly at a 75 kg person. The straps can only be set on 2 positions, where other boards have at least 3 positions. The fins are connected with allen screws, which may be annoying when you are travelling and need to bring extra tools, because every other board has normal cross-head screws. Only one size fin is provided, no choices there either. One of our testers didn’t like the straps. The traditional plastic-spoon system is covered by a cover which did hurt in several cases at some smaller (EU size <37) feet. Testers with bigger feet were not complaining though. 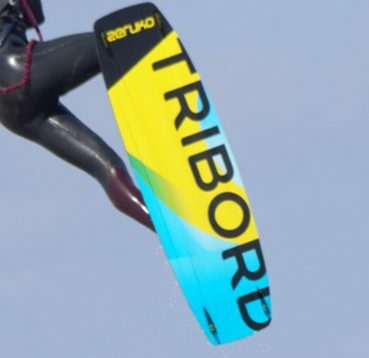 The boards comes with a free lifetime warranty : TRIBORD is prepared to exchange, to refund or repair the broken kiteboard. Don’t expect unlimited warranty though. In this partly English/French warranty, things as delamination are not included. But don’t get us wrong, these are just points we like to see changed in the future (for the Zeruko 2.0?) and unless you are above 90kg’s or have smaller feet there is no real problem. And we want to say it once more; don’t forget that not one other board has a price as low as the Zeruko, not even close. or intermediate aimed twin tip. This results in a bit of a specific feeling, which the power-up rider will like. And we mean eye brow raising to-good-to-be-true surprising fun! Edge it hard and you will get your explosive pop as much as you can push it. 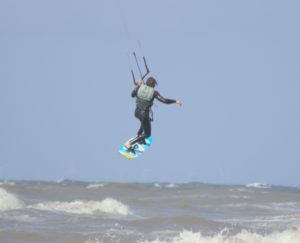 Experienced kiters will have an very, very nice surprise from this twin tip. We even put our boots on it, and it felt perfect. Except for the fins. The fins feel big and add even more to the grip of the board and in fact over do it a bit. 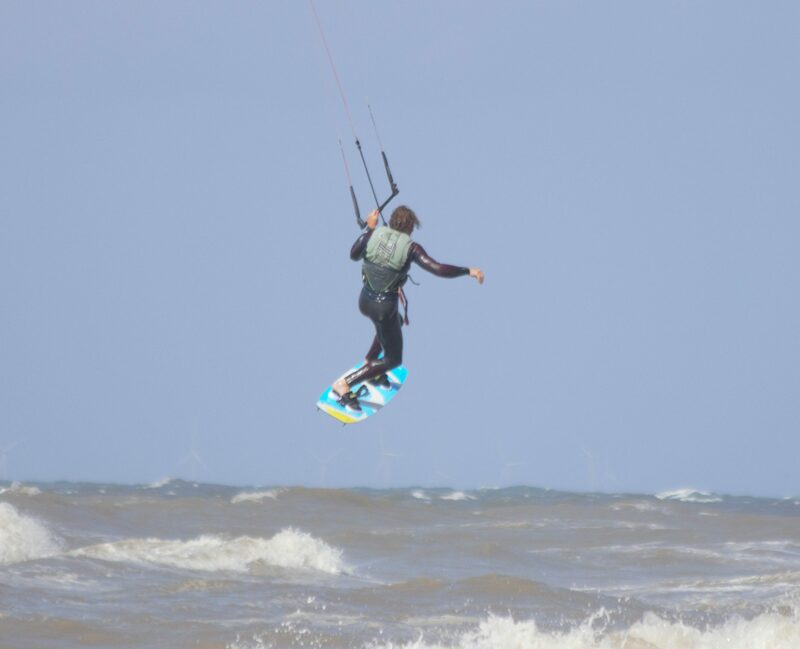 It does make the board go upwind unbelievable easy, but give the Zeruko a bit of a less end speed. 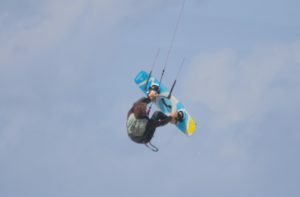 Those fins can also punish you when you are coming down from a big jump while angling the board a bit wrongly. 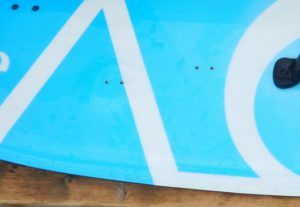 It also make the board feel stuck to the water, which isn’t bad for some moves, but throwing it around to ride some waves (as far as a twin tip can do it), takes a lot of input from the rider. Landings are rough. The board is quite stiff and only has a medium rocker. In fact the major pitfall of the Zeruko is its lack of comfort. 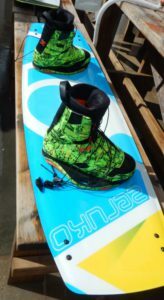 If you look for a comfortable board for example a F-one Acid (which is about double the price) is your choice, but it wont go upwind as the Zeruko does. update August ’17: New name “Orao” with new looks and new (normal) screws. Otherwise no changes. We decided not to test it again. 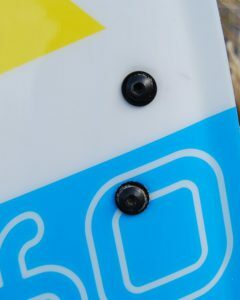 Decathlon has updated the board; new name (Orao), new looks and new (normal) screws. Otherwise no changes. We decided not to test it again.